Dedicated surfer and philanthropist, Cole Harmening was our first team rider a few years back and fully encapsulates the Fair Harbor Lifestyle. Growing up just minutes from the beach, he was born raised in Oceanside, California and started surfing at the age of four. Check out more about his connection with Surfing the Nations and his upcoming trip to Indonesia!  As one of our initial team riders, what attracted you to Fair Harbor? What aspects of Fair Harbor resonate most with you? I liked the classic style of you boardshorts, and felt like you guys had a good vision with the idea of using recycled material for their products. I liked they idea of making a sustainable trunk that gave back to the ocean that we play in everyday. Giving back, loving the people around me and loving God. Being a good steward of the gifts and things that He has blessed me with. Always smiling and being joyful! How/when did you originally develop your passion for surfing? When I was young our family always loved hanging on the beach and living an active lifestyle. Who has had the biggest impact on your surfing career? Ethan Champlin because he always gets me stoked on surfing. From start to finish, what would be your ideal beach day consists of? Morning devotions, Breakfast burritos, hammocking under Ryan Wilson’s lifeguard tower, surfing until I cant move my arms, then head home to watch a surf movie and take a nap. Do you have any pre and post surf routines? What are some of the best travel destinations surfing has taken you? What won’t you travel without? My bible, Indonesia is my favorite place it was amazing! I noticed that you are planning a trip to Indonesia this year. Can you tell me a little bit more about it? I am doing outreach work with an organization called Surfing The Nations - Their mission is to serve the local surf communities by meeting the tangible needs of the people of Bali and of the surrounding islands of Gili, Lombok, and Nusa Lembongan. To establish a Surfing The Nations base that will equip local and international surfers to be catalysts who ignite growth within themselves and their communities through acts of selfless service. Surfing The Nations first went to Bali, Indonesia in 1997, with a small team of seven. During that first outreach, Tom Bauer committed to return each July for the following 10 years. Ten years later, in 2007, 122 members from all around the world celebrated STN’s 10-year anniversary of continued service in Indonesia. STN is still traveling to Indonesia, continuing to build the strong relationships made with numerous families on Bali and many of the outer islands. Through these relationships we have been able to serve the local communities by sponsoring and holding surf contests for the local youth, organizing beach cleanups, distributing clothes and toys to impoverished areas, teaching English at school, and helping individuals with property development. These friendships have also allowed us to surf Desert Point, Scar Reef, Shipwrecks and many of the other world class surf breaks that Indo has to offer. Having the chance to surf and serve with friends has changed many STN surfers’ lives. Surfing the Nations continues to serve and build the communities within the islands of Indonesia. We are committed to our annual outreach trips every July, which not only bless Indonesia but also expose young surfers from around the world to a living as a surfer who “gives back”. Surfing The Nations is committed to see surfers giving back to the people of Indonesia. It is our long-term goal to see an International Surf Base established that would enable STN to train and send out other local and international surfers to continue the mission of “surfers giving back” year round in Indonesia. Do you like to cook? What do you like to make? California burrito at Roberto’s taco shop!